Sturmtiger (German: "Assault Tiger") is the common name of a World War II German assault gun built on the Tiger I chassis and armed with a large naval rocket launcher. The official German designation was Sturmmörserwagen 606/4 mit 38 cm RW 61. Its primary task was to provide heavy fire support for infantry unitsfighting in urban areas. The few vehicles produced fought in the Warsaw Uprising, the Battle of the Bulge and the Battle of the Reichswald. The fighting vehicle is also known under a large number of informal names, among which the Sturmtiger become the most popular. The idea for a heavy infantry support vehicle capable of demolishing heavily defended buildings or fortified areas with a single shot came out of the experiences of the heavy urban fighting in the Battle of Stalingrad in 1942. At the time, the Wehrmacht had only the Sturm-Infanteriegeschütz 33B available for destroying buildings, a Sturmgeschütz III variant armed with a 15 cm sIG 33 heavy infantry gun. Twelve of them were lost in the fighting at Stalingrad. 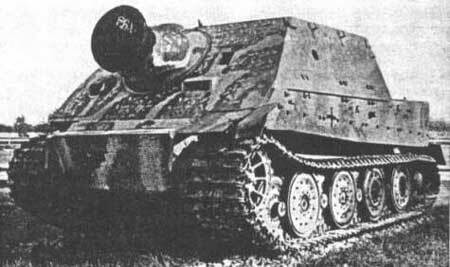 Its successor, the Sturmpanzer IV/Brummbär was in production from early 1943, but the Wehrmacht still saw a need for a similar, but heavier armoured and armed vehicle. 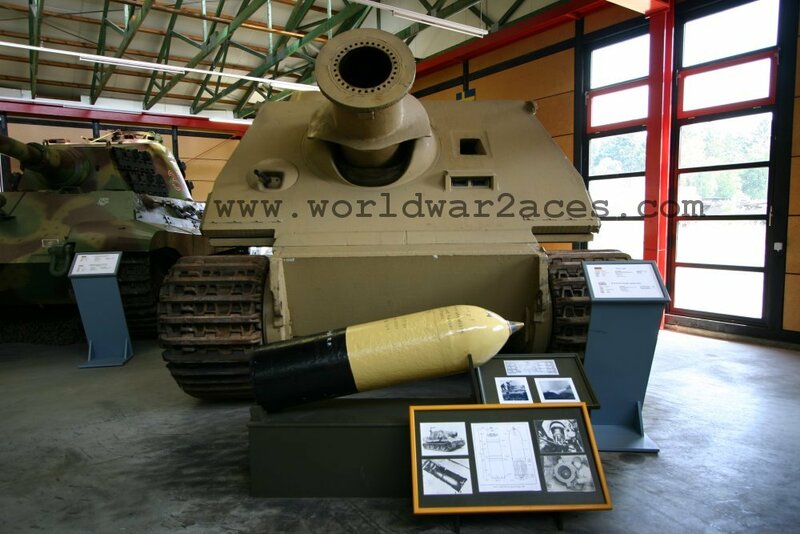 Therefore a decision was made to create a new vehicle based on the Tiger tank and arm it with a 210 mm howitzer. 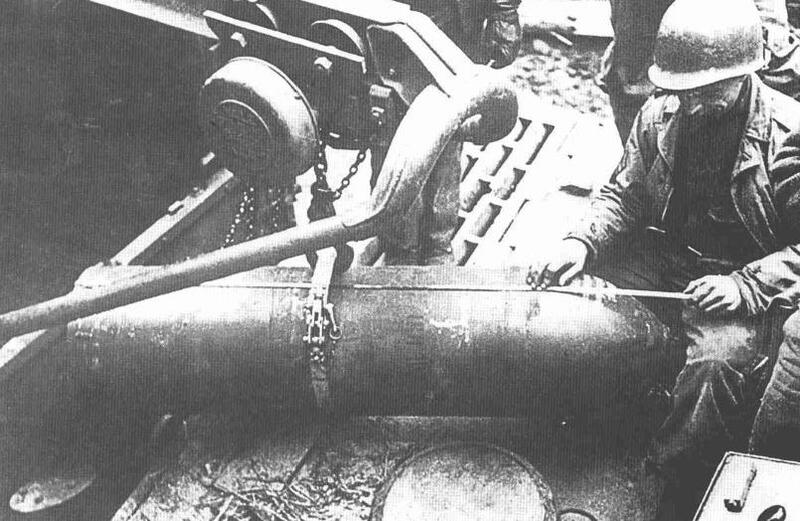 However, this weapon turned out not to be available at the time and was therefore replaced by a 380 mm rocket launcher, which was adapted from a Kriegsmarine depth charge launcher. 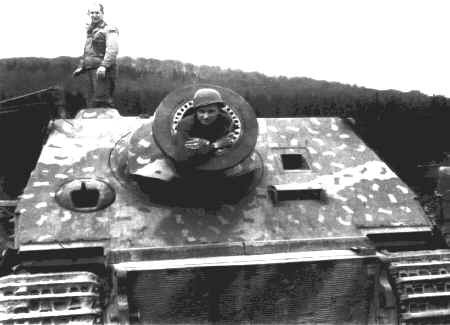 In September 1943 plans were made for Krupp to fabricate new Tiger I armored hulls for the Sturmtiger. The Tiger I hulls were to be sent to Henschel for chassis assembly and then to Alkett where the superstructures would be mounted. 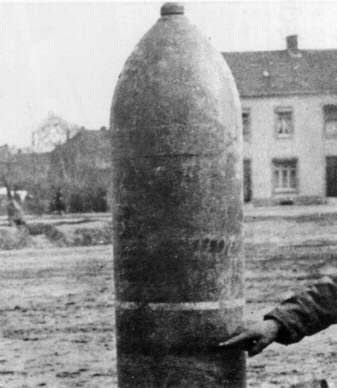 The first prototype was ready and presented to Adolf Hitler in October 1943. 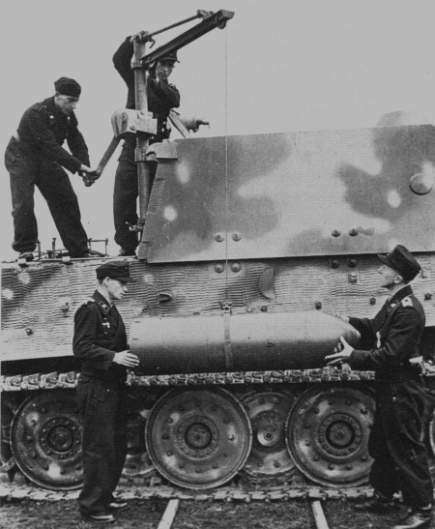 Delivery of the first hulls would occur in December 1943, with the first three Sturmtigers completed by Alkett by 20 February 1944. 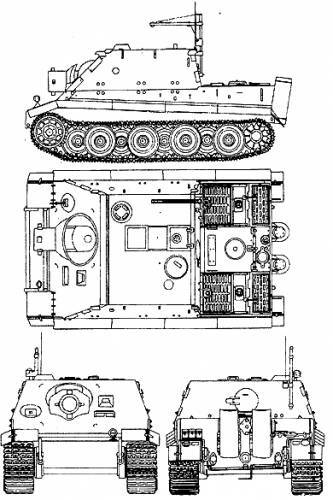 Due to delays, Hitler did not request production of the weapon until 19 April 1944; 12 superstructures and weapons for the Sturmtiger would be prepared and mounted on rebuilt Tiger I chassis. 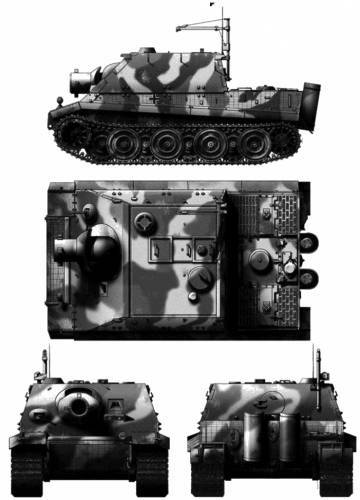 The first three production series Sturmtigers were completed by Alkett in August 1944. Plans to complete an additional seven 38 cm Sturmtigersfrom 15 to 21 September 1944 were presented to Hitler in a conference on 18–20 August 1944. Ten Sturmtigers were produced in September, along with an additional five in December 1944. The Sturmtiger was based on the late model Tiger I, keeping its hull and suspension. The front of the Tiger's superstructure was removed to make room for the new fixed casemate-style fighting compartment housing the rocket launcher. This was located directly at the front of the vehicle, giving it a boxy appearance. 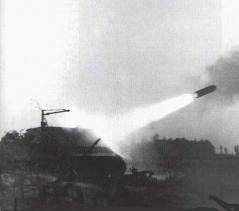 The main armament was the 380 mm Raketen-Werfer 61 L/5.4, a breech-loading rocket launcher, which fired short-range, rocket-propelled projectiles roughly 1.5 metres (59 in) long. 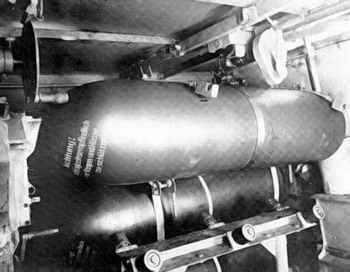 There were a variety of rounds with a weight of up to 376 kilograms (830 lb), and a maximum range of up to 6000 metres, which either contained a high explosive charge of 125 kilograms (280 lb) or a shaped charge for use against fortifications, which could penetrate up to 2.5 metres (98 in) of reinforced concrete. The stated range of the former was 5,650 metres (6,180 yd). A normal charge first accelerated the projectile to 45 metres per second (150 ft/s), the 40 kilograms (88 lb) rocket charge then boosted this to about 250 m/s (820 ft/s). The design of the rocket launcher caused some problems. 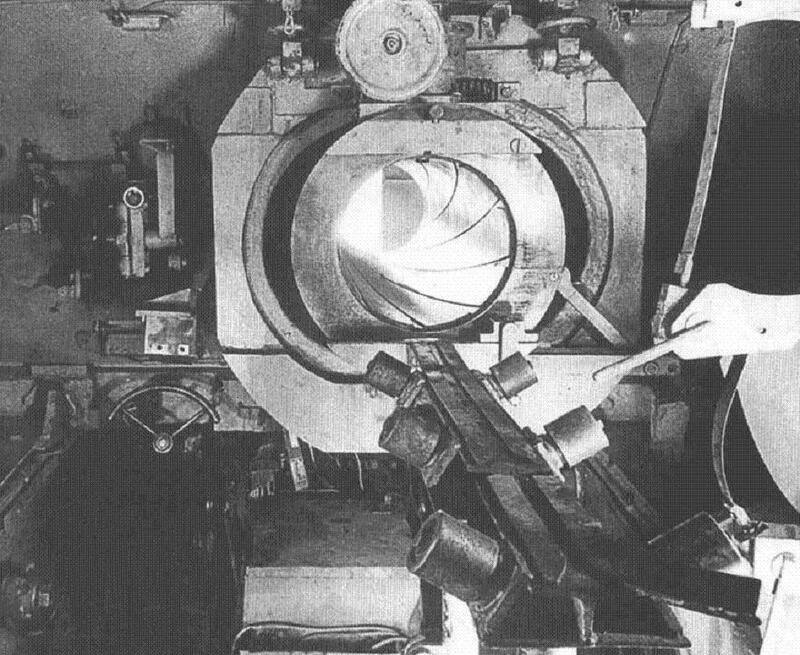 The hot rocket exhaust could not be vented into the fighting compartment but nor could the barrel withstand the pressure if the gasses were not vented. Therefore a ring of ventilation shafts were put around the barrel which channeled the exhaust and gave the weapon somewhat of a pepperbox appearance. Due to the bulkiness of the ammunition, only 14 rounds could be carried, of which one was already loaded, with another in the loading tray. The rest were carried in two storage racks. To help with the loading of ammunition into the vehicle, a loading crane was fitted at the rear of the superstructure, next to the loading hatch. Even then, the entire five man crew had to help with the loading. It was intended that each Sturmtiger would be accompanied by an ammunition carrier built on the same Tiger I chassis, but only one carrier was completed. At the loading hatch's rear was located a 100 millimetres (3.9 in) grenade launcher, using SMi 35 leaping mines, which was used for close range defence against both armoured vehicles and infantry in a 360 degree circle around the vehicle. For defence against infantry attacks, there was a mount in the front for a 7.92 x 57 mm MG 34 machine gun. The original role of the Sturmtiger was intended to be as a heavy infantry support vehicle, to help with attacks on heavily fortified or built-up areas. 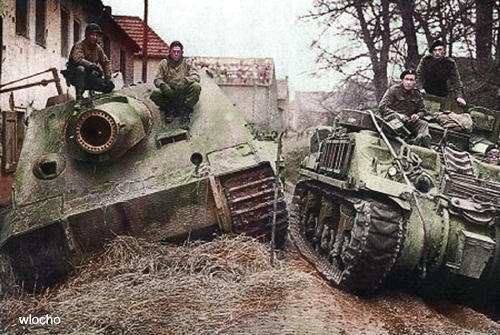 By the time the first Sturmtigers were available however, the situation for Germany had changed for the worse, with the Wehrmacht being almost exclusively on the defensive rather than the offensive. 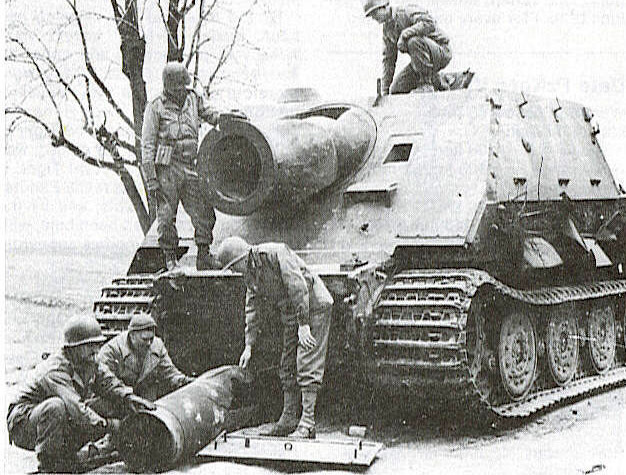 Three new Panzer companies were raised to operate the Sturmtiger: Panzer Sturmmörser Kompanien (PzStuMrKp) (Armored Assault Mortar Company) 1000, 1001 and 1002. These originally were supposed to be equipped with fourteen vehicles, but this figure was later reduced to four each, divided into two platoons. 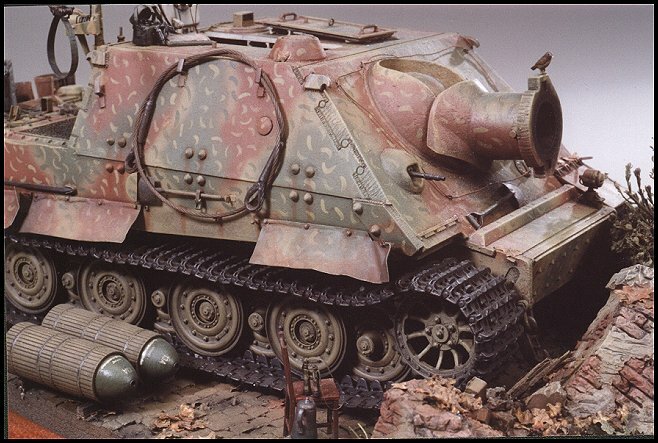 PzStuMrKp 1000 was raised on 13 August 1944 and fought during the Warsaw Uprising with two vehicles, as did the prototype in a separate action, which may have been the only time theSturmtiger was used in its intended role. PzStuMrKp 1001 (commanded by captain von Gottberg) and 1002 (commanded by lieutenant Zippel) followed in September and October. 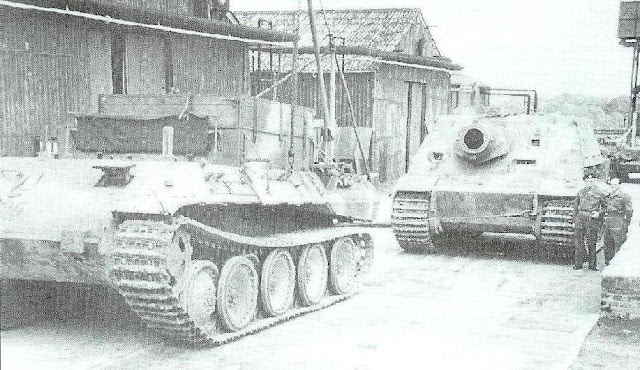 Both PzStuMrKp1000 and 1001 served during the Ardennes Offensive, with a total of seven Sturmtigers. 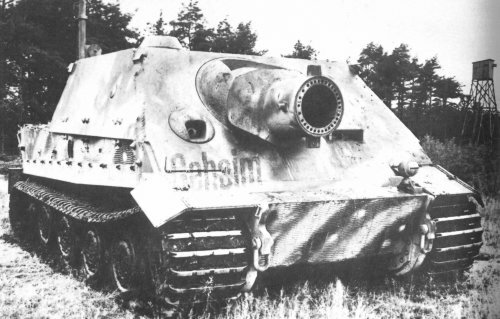 After this offensive, the Sturmtigers were used in the defence of Germany proper, mainly on the Western front. Sturmtiger #250174 is on display at the Deutsches Panzermuseum at Munster. This vehicle is currently on loan from the Wehrtechnische Studiensammlung in Koblenz. A Sturmtiger is on display at the Kubinka Tank Museum in Russia. This vehicle is believed to have been captured by advancing Red Army units in the Elbe area in April 1945. A 380 mm Raketen-Werfer is in the collection of the Bovington Tank Museum. "Sturmmörser: 38 cm Rocket Projector on Tiger Chassis", U.S. Ordnance Report, 1945.